This past weekend, we ventured out of Sugar Land and found ourselves in Missouri City at the Chocolate Drop Cafe. This quaint little cupcake shop/restaurant was outside the norm of my traditional luncheon choice, but was well worth the visit. Even though the day was rather cold and rainy, the atmosphere within the restaurant was comfy, like our own living room. For lunch we enjoyed some southern cuisine, Cajun Shrimp & Grits. The cajun seasoning on the shrimp complimented the cheesy grits. Also we shared the Chicken Club Sandwich. Of course we couldn't leave without purchasing some cupcakes. With over a dozen different flavors, you can imagine the difficulty I faced when approaching the glass bakery case. I chose the Snickerdoodle Cupcake and the Wedding Cake Cupcake. As a Sugar Land Photographer, I'm reminded of how important it is to support local small businesses. 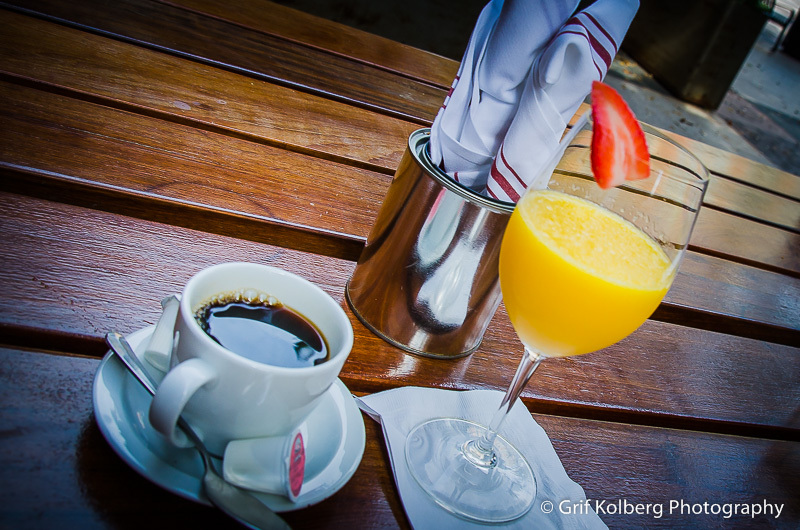 I hope you enjoy these pictures and venture out from the normal chain restaurants and support those small business that work so hard to create a new experience for you and your family. 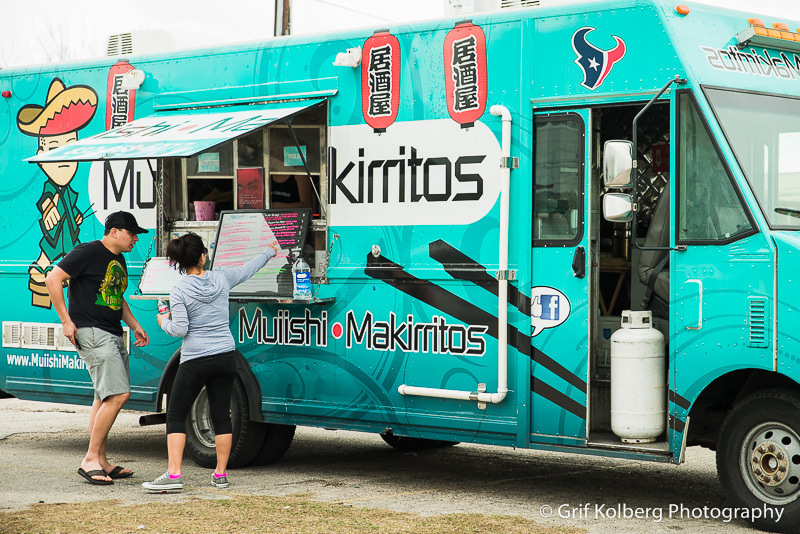 This past weekend, we wanted to try something new in Houston. 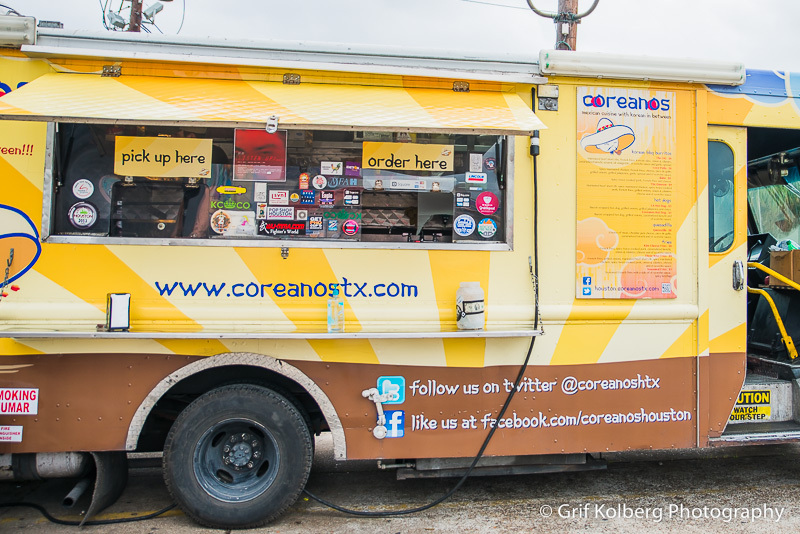 So we ventured to the corner of Leeland St. and St. Emanuel St. in Houston to try out some local food truck cuisine. Here are a few pictures of our lunchtime fun. 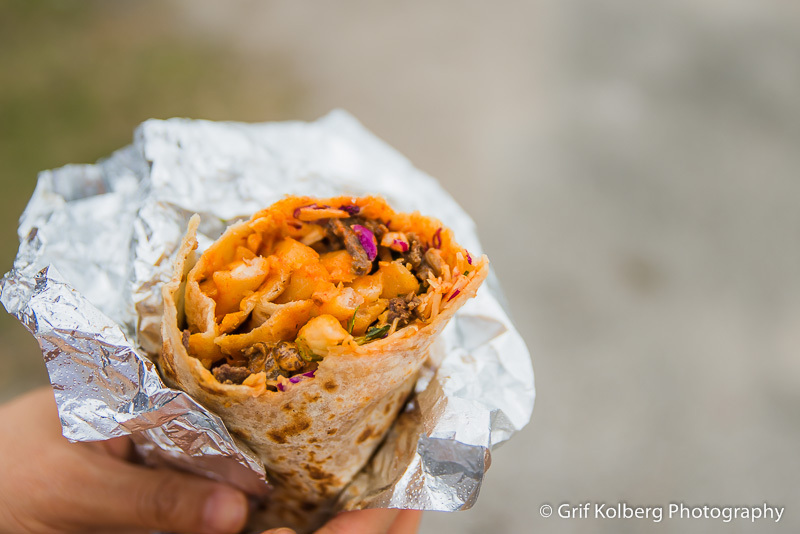 At the Coreanos food truck we tried the OG Burrito, which has marinated beef, french fries, korean slaw, kimchi, onions, and cilantro, wrapped in a flour tortilla. Good concept of trying to combine Korean cuisine with a Mexican twist. They kind of missed the boat on this burrito, as anyone that has had kimchi knows, kimchi is very powerful and can overwhelm other ingredients, when combined. It's a good idea to try various trucks and see what they have to offer. Here at Muiishi Makirritos, we got the pork belly sushi roll. Believe it or not, the pork belly had great flavor and was very tender. I would buy this roll again. Only miss to this sushi roll was the nori being too moist. The Houston humidity makes it hard to keep nori crisp, making it hard to eat the sushi roll in bites. Maybe they should have cut them into slices. 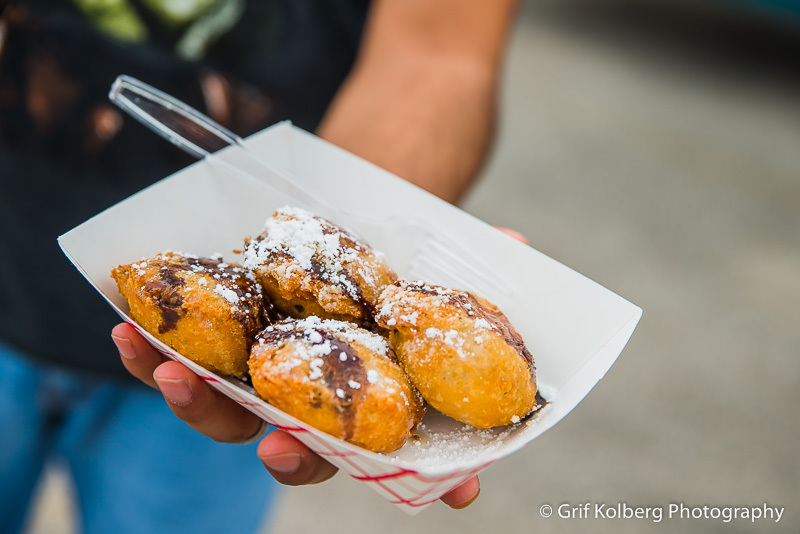 And of course I got some random guy walking way from the food truck with Deep Fried Oreos, which he kindly allowed me to take a snap shot of these sinfully, high calorie treats. I actually restrained myself and resisted purchasing my own. My wife and I finally got a chance to get out and have a nice relaxing brunch at the Jupiter Pizza & Waffle Co., located near the Sugar Land Town Square. With the beautiful weather this morning, there were a lot of families walking the streets and dining in the town square area, just like us. The local girl scout troop was out and about, selling their girl scout cookies. 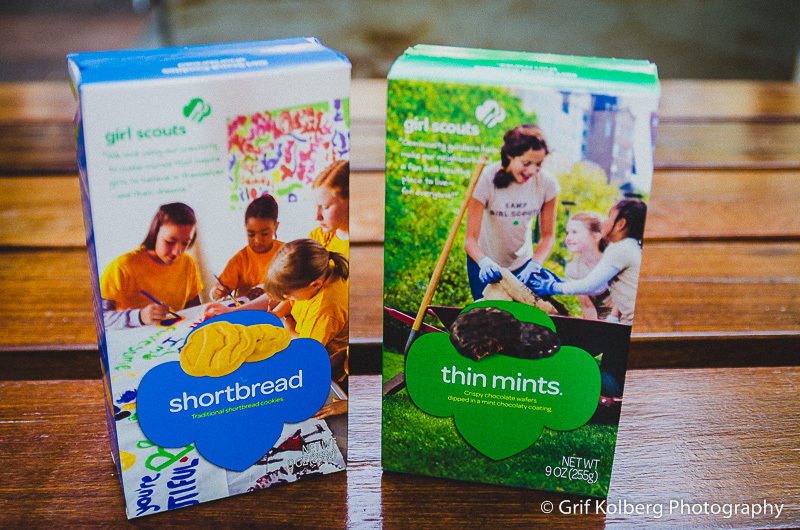 Of course we couldn't resist our thin mints and short bread cookies. So as you can see we purchased a few. Also had an opportunity to sit near the Stevens family, trying out the restaurant for the first time, visiting from Pearland. All in all, we had a great time this morning and can't wait to do it again.